Sweet Rot is thrilled to present a split 7″ by legendary Australian noise merchants Primitive Calculators and Brisbane, Australia’s swamp gang Slug Guts. This record features three previously unreleased versions of the Primitive Calculators quasi single/hit “Pumping Ugly Muscle”, originally featured in the 1986 movie “Dogs in Space”. 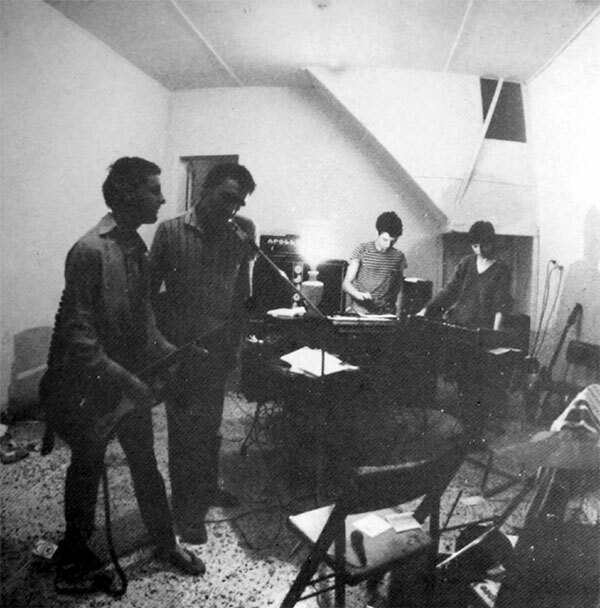 You get a devastating version recorded by Primitive Calculators in 1979 in the practice room of the band’s home in Fitzroy, Melbourne. As well as this, they contribute an equally killer live version recorded in 2009 following their memorable reunion at All Tomorrow’s Parties in Melbourne. Not to be outdone, Slug Guts (Sacred Bones Records) interpret “Pumping Ugly Muscle” and give it their own sludgy twist.